Prince William, to be crowned either King William, King Arthur, King Philip or King Louis, is the first born of Prince Charles and Princess Diana, the 2nd in the line of succession after his father, Prince Charles. William holds a Bachelors Degree in Arts, majoring in Geography, and also a Masters Degree in Arts, with upper second class honors in geography. Catherine Middleton, the Duchess of Cambridge, will be Queen Consort if William is king. She studied at the University of St Andrews (where she met Prince William), like William, graduating with a Masters Degree in Arts majoring in the History of Art, with an upper second class honors. “Getting married is soooo romantic ” Mandy quipped. “Well you can be my princess,” Jamie said. Prince William (aka William Louis) is the elder son of Prince Charles and Princess Diana, the 2nd in the line of succession after his dad Prince Charles. This would put him on the thrown in the 16 Commonwealth realms, including the United Kingdom, Canada, Australia, New Zealand, Jamaica, Barbados, Bahamas, Grenada, PNG, Solomon Islands, Tuvalu, St. Lucia, St. Vincent and the Grenadines, Belize, Antigua and Barbuda, and St. Kitts and Nevis. Princess Kate attended the University of St Andrews where she met Prince William 10 years ago. She has been admired for her fashion sense and prettiness. Prince William married Kate Middleton on April 29, 2011 at Westminster Abbey, making Kate, the “Duchess of Cambridge”. Rev. Dr. John Hall, Dean of Westminster Abbey: Dearly beloved, we are gathered here in the sight of God and in the face of this congregation to join together this man and this woman in holy matrimony, which is an honorable estate instituted of God himself signifying unto us the mystical union that is betwixt Christ and his Church, which holy estate Christ adorned and beautified with his presence and first miracle as he wrought in Cana of Galilee and is commended in holy writ to me honorable among all men, and therefore is not by any to be enterprised nor taken in hand unadvisedly, lightly or wantonly, but reverently, discreetly, soberly and in the fear of God duly considering the causes for which matrimony was ordained. First, it was ordained for the increase of mankind, according to the will of God and that children might be brought up in the fear and nurture of the Lord and to the praise of his holy name. Secondly, it was ordained in order in order that the natural instincts and affections implanted by God should be hallowed and directed a rite, that those who are called of God to this holy estate should continue therein in pureness of living. Thirdly, it was ordained for the mutual society help and comfort that the one ought to have for the other, both in prosperity and adversity, into which holy estate these two persons present come now to be joined. Rowan Williams, Archbishop of Canterbury: I require and charge you both as you answer at the dreadful day of judgment, when the secrets of all hearts shall be disclosed. That if either of you know any impediment why you may not be lawfully joined together in matrimony, you do now confess it. We’ll be well assured that so many as our couple together otherwise in God’s word of love, are not joined together by God, neither is their matrimony lawful. William Arthur Philip Louis, wilt thou have this woman to thy wedded wife, to live together according to God’s law in the holy estate of matrimony with thou love her, comfort her, honor and keep her in sickness and in health, and forsaking all other, keep thee only unto her so long as ye both shall live? His Royal Highness, Prince William of Wales, Duke of Cambridge: I will. Rowan Williams, Archbishop of Canterbury: Catherine Elizabeth, wilt thou have this man to thy wedded husband, to live together according to God’s law in the holy estate of matrimony, with thou love him, comfort him, love him, honor and keep him, in sickness and in health, and forsaking all other, keep thee only unto him so long as ye both shall live? Her Royal Highness, Princess Catherine Elizabeth Middleton, Duchess of Cambridge: I will. Rowan Williams, Archbishop of Canterbury: Who giveth this woman to be married to this man? Rowan Williams: — to my wedded wife. Prince William: — to my wedded wife. Rowan Williams: To have and to hold from this day forward. Prince William: To have and to hold from this day forward. Rowan Williams: For better or for worse. Prince William: For better or for worse. Rowan Williams: For richer or for poorer. Prince William: For richer or for poorer. Rowan Williams: In sickness and in health. Prince William: In sickness and in health. Rowan Williams: To love and to cherish. PRINCE WILLIAM: To love and to cherish. Rowan Williams: Till death us do part. Prince William: Till death us do part. Rowan Williams: According to God’s holy law. Prince William: According to God’s holy law. Rowan Williams: And thereto I give thee my troth. Prince William: And thereto I give thee my troth. Rowan Williams: — to my wedded husband. Kate Middleton: — to my wedded husband. Kate Middleton: To have and to hold from this day forward. Kate Middleton: For better or for worse. Kate Middleton: For richer or for poorer. Kate Middleton: In sickness and in health. Rowan Williams: To love and to cherish. Kate Middleton: To love and to cherish. Kate Middleton: Till death us do part. Kate Middleton: According to God’s holy law. Kate Middleton: And thereto I give thee my troth. Rowan Williams: Bless, O lord, this ring and grant that he who gives it and she who shall wear it may remain faithful to each other and abide in thy peace and favor and live together in love until their lives’ end through Jesus Christ, our Lord, amen. Rowan Williams: With this ring I thee wed. Prince William: With this ring I thee wed.
Rowan Williams: With my body I thee honor. Prince William: With my body I thee honor. Rowan Williams: And all my worldly goods with thee I share. Prince William: And all my worldly goods with thee I share. Rowan Williams: In the name of the Father. Prince William: In the name of the Father. Rowan Williams: And of the Son. 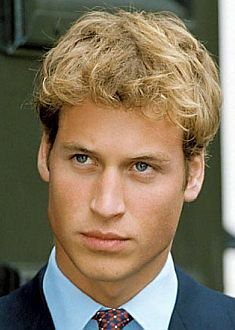 Prince William: And of the Son. Rowan Williams: And of the Holy Ghost. Prince William: And of the Holy Ghost. Rowan Williams: Let us pray. Oh, eternal God, creator and preserver of all mankind, giver of all spiritual grace, the author of everlasting life, send thy blessing upon these, thy servants, this man and this woman, whom we bless in thy name, that living faithfully together, they may surely perform and keep the vow and covenant betwixt them made, whereof this ring given and received is a token and pledge, and may ever remain in perfect love and peace together, and live according to thy laws, through Jesus Christ, our Lord. Rowan Williams: Those whom God has joined together let no man put us under. For as much as William and Catherine have consented together in holy wedlock, and have witnessed the same before God and this company and thereto have given to pledge their troths either to other and have declared the same by giving and receiving of a ring and by joining of hands, I pronounce that they be man and wife together in the name of the Father, and of the Son, and of the Holy Ghost. Amen. Rowan Williams: God, the Father, God, the Son, God, the Holy Ghost, bless, preserve, and keep you. The Lord mercifully with his favor look upon you and so fill you with all spiritual benediction and grace, that you may so live together in this life, that in the world to come ye may have life everlasting. Amen. James Middleton (Kate Middleton’s brother, reading from Romans): I appeal to you, brothers and sisters, by the mercies of God, to present your bodies as a living sacrifice, holy and acceptable to God, which is your spiritual worship. Do not be conformed to this world, but be transformed by the renewing of your minds, so that you may discern what is the will of God, what is good and acceptable, and perfect. Let love be genuine. Hate what is evil. Hold fast to what is good. Love one another with mutual affection. Outdo one another in showing honor. Do not lag in zeal. Be ardent in spirit. Serve the Lord. Rejoice in hope. Be patient in suffering. Persevere in prayer. Contribute to the needs of the saints. Extend hospitality to strangers. Bless those who persecute you, bless and do not curse them. Rejoice with those who rejoice. Weep with those who weep. Live in harmony with one another. Do not be haughty, but associate with the lowly. Do not claim to be wiser than you are. Do not repay anyone evil for evil. But take thought for what is noble in the sight of all. If it is possible, so far as it depends on you, live peaceably with all. Dr. Richard Chartres, Lord Bishop of London (Right Reverend and Right Honorable): Be who God meant you to be, and you will set the world on fire. So said Saint Catherine of Siena whose festival day it is today. Marriage is intended to be a way in which man and woman help each other to become what God meant each one to be. Their deepest and their truest selves. Many people are fearful at the prospects for our world, but the message of the celebrations in this country and far beyond its shores is the right one. This is a joyful day. It is good that people in every continent are able to share in these celebrations. Because this is, as every wedding day should be, a day of hope. In a sense, every wedding is a royal wedding, with the bride and the groom as king and queen of creation, making a new life together, so that life can flow through them into the future. William and Catherine, you have chosen to be married in the sight of a generous God who so loved the world that he gave himself to us in the person of Jesus Christ. And in the spirit of this generous God, husband and wife are to give themselves to each other. And spiritual life grows as love finds its center beyond ourselves, faithful and committed relationships offer a door into the mystery of spiritual life in which we discover this. The more we give of self, the richer we become in soul. The more we go beyond ourselves in love, the more we become our true selves and our spiritual beauty is more fully revealed. In marriage, we are seeking to bring one another into fuller life. It is, of course, very hard to ween ourselves away from self- centeredness, and people can dream of doing such a thing. But that the hope should be fulfilled, it is necessary that a solemn decision is made, that whatever the difficulties, we are committed to the way of generous love. You have both made your decision today. I will. And by making this new relationship, you’ve aligned yourselves with what we believe is the way in which life is spiritually evolving, and which will lead to a creative future for the human race. We stand looking forward to a century which is full of promise and full of peril. Human beings are confronting the question of how to use wisely the power that has been given to us through the discoveries of the last century. We shall not be converted to the promise of the future by more knowledge, but rather by an increase of loving wisdom and reverence for life, for the earth, and for one another. As the reality of God has faded from so many lives in the West, there’s been a corresponding inflation of expectations that personal relations alone will supply meaning and happiness in life. This is to load our partner with too great a burden. We’re all incomplete. We all need the love which is secure, rather than oppressive. We need mutual forgiveness in order to thrive. But as we move towards our partner in love, following the example of Jesus Christ, the Holy Spirit is quickened within us and can increasingly fill our lives with light, and this leads on to a family life, which offers the best conditions in which the next generation can receive and exchange those gifts which can overcome fear and division and incubate the coming world of the spirit whose fruits are love and joy and peace. We’re going to hear the Motet, which is a very an interesting story. A young man called Paul Mealor, who wrote this and the special couple heard it up at St. Andrews and said we want this at our wedding. And he’s a completely unknown composer until now. This will change his life forever. Unidentified male: Let us pray. Lord, have mercy upon us. Assembly: Christ, have mercy upon us. Unidentified male and assembly: Lord have merry upon us. Our Father, which art in heaven, hallowed be thy name, thy kingdom come, thy will be done, in earth as it is in heaven. Give us this day our daily bread, and forgive us our trespasses as we forgive them that trespass against us. And lead us not into temptation, but deliver us from evil. Amen. Unidentified male: O, Lord, save thy servant and thy handmaid. Assembly: Who put their trust in thee. Unidentified male: O Lord, send them help from thy holy place. Assembly: And evermore defend them. Unidentified male: Be unto them a tower of strength. Assembly: From the face of their enemy. Unidentified male: O Lord, hear our prayer. Dr. Richard Chartres, Lord Bishop of London: Oh God of our fathers, bless these thy servants and sow the seed of eternal life in their hearts, that whatsoever in thy holy word, they shall profitably learn. They may, indeed, fulfill the same, that so obeying thy will, and always being in safety under thy protection. They may abide in thy love unto their lives’ end, through Jesus Christ, our Lord. Rowan Williams, Archbishop of Canterbury: Oh merciful Lord and heavenly father, by whose gracious gift mankind is increased, bestow we beseech these upon these two persons the heritage and gift of children, and grant that they may see their children Christianly and virtuously brought up to thy praise and honor, through Jesus Christ our Lord. Dr. Richard Chartres: Oh God, who has taught us that it should never be lawful to put us under, those whom thou by matrimony had made one, and has consecrated the state of matrimony to such an excellent mystery, that in its signified and represented the spiritual marriage and unity betwixt Christ and his church. Look mercifully upon these thy servants, that both this man may love his wife, according to thy word, as Christ did love his spouse the church, who gave himself for it, loving and cherishing it, even as his own flesh. And also, that this woman may be loving and amiable and faithful to her husband, and in all quietness, sobriety and peace, be a follower of holy and godly matrons. Oh Lord, bless them both, and grant them to inherit thy everlasting kingdom, through Jesus Christ, our Lord. Rowan Williams: All mighty God, the father of our Lord Jesus Christ, pour upon you the riches of his grace, sanctify and bless you, that he may please him both in body and soul, and live together in holy love unto your lives’ end. Dr. Richard Chartres: Let us pray. Almighty Lord and everlasting God, vouchsafe we beseech thee to direct, sanctify, and govern both our hearts and bodies, in the ways of thy laws and in the works of thy commandments, that through thy most mighty protection, both here and ever. We may be preserved in body and soul, through our Lord and savior, Jesus Christ. Dr. Richard Chartres: The blessing of God almighty, the Father, the Son, and the Holy Ghost, be amongst you and remain with you always.